Proper lubrication improves asset availability. 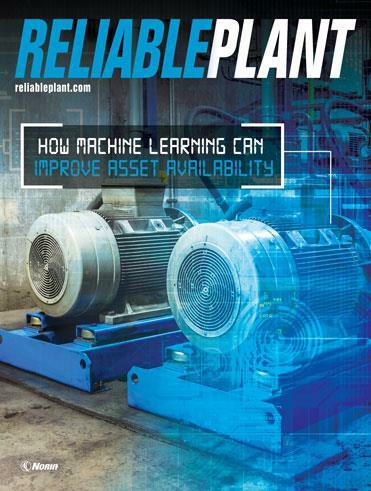 In this article, Terry Harris, CMRT, and president of Reliable Process Solutions offers valuable information for machinery lubrication best practices. Suddenly a motor fails and you have a costly repair or expensive replacement. You have a motor reliability program at your facility and your electric motors are regularly tested and the data recorded. You ask, “How could we have missed this?” There are three areas that are commonly overlooked in a motor reliability program. This white paper explores where the gaps in your motor testing program might have occurred and how to avoid them. Technicians who uses online particle counters on oil systems, can sometime wonder, whether the ISO codes are correct, being lower than the equivalent ISO code based on a bottle sample. This is especially true when the oil system is small and fitted with a very efficient “over-dimensioned” offline filter e.g. running 50 percent circulation ratio per hour. When comparing to bottle sampling, there will always be a difference in ISO codes, but this becomes very significant when the oil system is really clean. This article will explain why this can be the case. Filtering Brand New Oil - Why and How? Acute Vs. Chronic Risks in Oil Systems! Clean Fuel - Keep Running!